I mentioned briefly in another thread I plan to change the converted loft, effectively one large room into a grand medieval land. Buildings aside it's the bits in between that's bothering me, how do others tackle mountains etc. any tips or links? I'm just returning to lego after a 'dark age' so I'm worried i might be biting off more than I can chew. That said I need a big project to launch myself into and to be ongoing. I figure I can brush up on building skills and change things as I go. Is it common to build around boxes or duplo as 'fillers'? I think using duplo as filler is fairly common. As for landscaping, have a read of this. It's not really focused on landscaping per se, but there's some excellent techniques there. @adventure_al - have you discovered Mocpages yet? 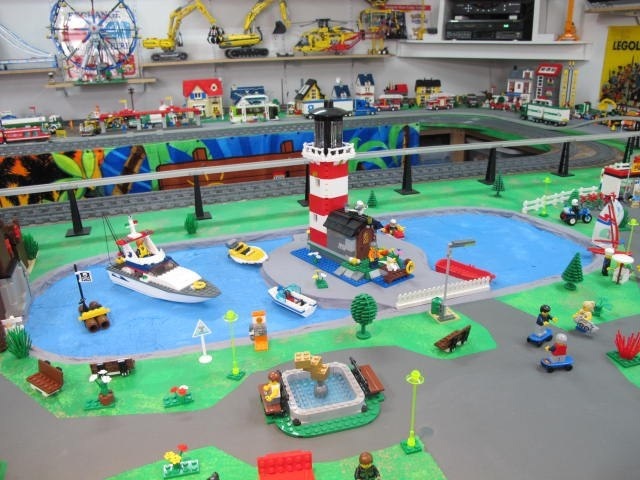 It's a website where people upload Lego creations (MOCs = "My Own Creation"). There's a lot on there that's fairly rubbish (ie, kids scribbling on clone troopers with Sharpies) but there are also quite a few really impressive builds. 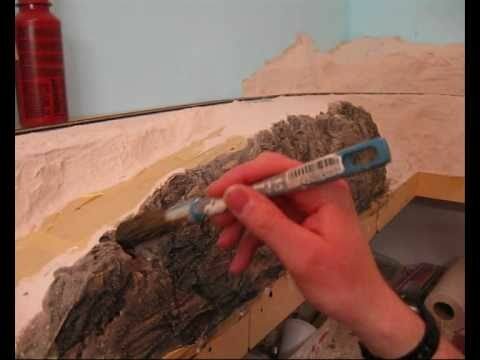 I would suggest searching on there for Blake Baer who makes incredible Lord of the Rings landscapes, or looking at some of the bigger builds in the 'Lands of Mythron' group for inspiration/techniques. Cheers. Thats actually very helpful. I've been searching around online, just taking it all in bit by bit. My other idea was a photo comic strip on the adventurers theme but I decided to put that on hold as unless I have a platform to show a decent audience then it wasnt as worthwhile. Here didn't seem the sort of place for that. You can also use Quatro to Duplo to Lego if so inclined. I use Duplo to build up stratum; its quick and easy; and of course lego 2x2s and 2x4s fit neatly and tightly on top. I always seek to ensure that no Duplo is visible on top; I am not too worried about sides. What about water? If I was to have a large lake, would a smooth blue surface only surround by lego be frowned upon? Nah, there's examples of where people have done that. I think "frowned upon" is a bit of a strong phrase. If I'm honest, there isn't much that's 'frowned upon' in the Lego community - after all, it's your collection/layout/build. Of course, while that's true, a lot of people will get funny about modifying the bricks themselves (painting, cutting, gluing, etc), but using custom decals (if done well) is usually acceptable. The other thing that a lot of people might 'frown upon' is using clone brands in a layout or whatever, but again, whatever is fine with your conscience. Sorry, I thought you meant a smooth blue brick surface. oh I don't mind, I just realised I'd mis-read what he said, that was all. I've decided to think outside the box a little. The more cost effective approach should include large base plates up at a steep angle (with hinges holding in place) as a platform. I can then use lots of flats (which are readily available in suitable colours) to improve shape and scenery. I reckon if done correctly I can potentially achieve a pretty good look of rugged mountains. Our tables are painted, not covered with Lego plates. Water is formed by cutting out a portion and applying plexiglass from the bottom then painting it with a variety of hues of blue. @paperballpark: that MOC from the link you provided was absolutely stunning. I can only imagine what his piece inventory is like. I don't use Lego for the landscape. For example, to build a BIG mountain for the castle team or for your trains I include a video. It is in Dutch, but don't bother, You'll see what you could do, so sound off!